Your guitar is an expression of your individuality. These wood-bound, solid-top guitars are the perfect balance of elegance, musicality and affordability. 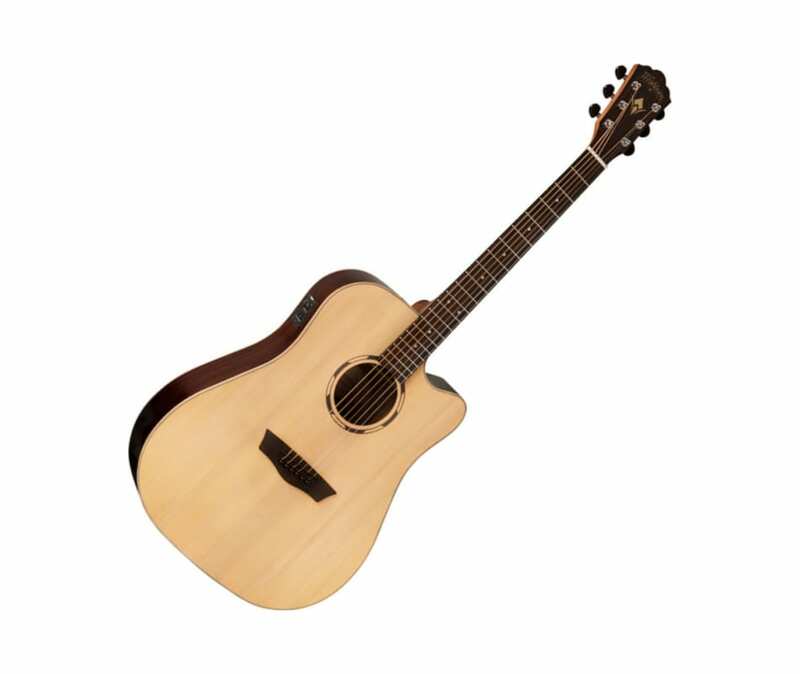 Songwriting, finger-style, in church or on-stage the Woodline may be the perfect guitar for you. Solid select grade soundboards allow for great tone and Maple binding adds a touch of class leading elegance found on hand-made instruments. Low damping properties of the Graph Tech NuBone nut and saddle maximize the tone and character of your guitar. Fishman 301T tuner/preamp make for natural sounding acoustic tone in performance situations.